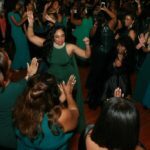 The Mu Lambda Omega Chapter of Alpha Kappa Alpha Sorority Incorporated is comprised of over 120 women representing various backgrounds. Mu Lambda Omega is uniquely diverse with members of multiple age groups and who have an array of professions, community leadership positions, and personal achievements. Mu Lambda Omega upholds the sorority’s commitment to high scholastic standards with member’s who have completed studies on graduate and doctoral levels. 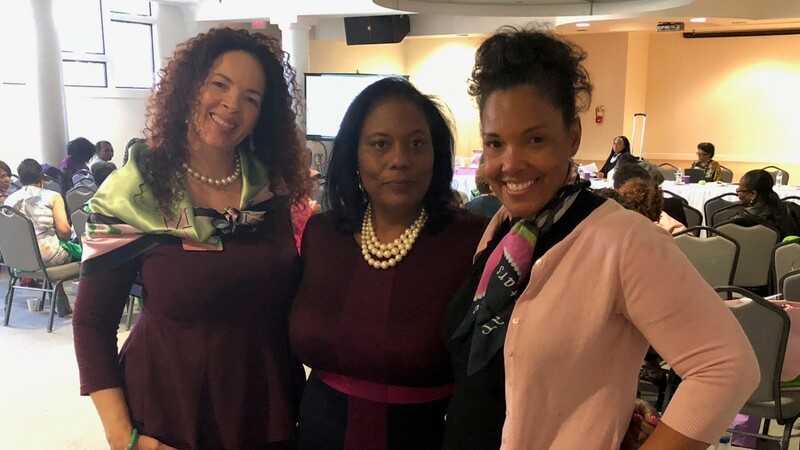 The Mu Lambda Omega Chapter is consistently dedicated to “nurturing our ivy” by offering ongoing member training courses, mentoring, and leadership development to ensure success of the chapter. In 2016 the chapter received regional recognition for excellent mentorship. The Mu Lambda Omega Chapter seeks to reclaim the sorority pearls and offer a membership experience that is Marvelous, Lively, and Outstanding. The Sorority’s official Graduate Membership Intake Process (MIP) is presented by invitation only. The Mu Lambda Omega Chapter hosts community service events, social events, and cultural presentations that are open to the public. Those interested in learning more about the sorority can access membership information on Alpha Kappa Alpha’s International Website. The Mu Lambda Omega Chapter welcomes returning members wishing to return to our sisterhood. The Membership Chairman is available to assist in the reactivation process and provide official sorority documentation. The Reactivation Form can be completed and brought to the MLO chapter meeting. Chapter dues vary depending on individual membership status. Please email the membership chairman to obtain information on chapter dues or to request additional information. For a list of scheduled events and chapter meetings please see the chapter calendar, we look forward to seeing you! The Mu Lambda Omega Chapter welcomes with open arms members who wish to transfer from undergraduate and other graduate chapters. The membership chairman is available to assist in the transfer process and provide official sorority documentation. The Transfer Verification Form must be completed by the President or Treasurer of the previous chapter in which you were affiliated in order to complete the transfer process. Members wishing to transfer from General Member to Chapter Member must obtain clearance from the Alpha Kappa Alpha Corporate Office. Chapter dues vary depending on individual membership status. Please email the membership chairman to obtain information on chapter dues or to request additional information. For a list of scheduled events and chapter meetings please see the chapter calendar, we look forward to seeing you! The Mu Lambda Omega Chapter welcomes visiting members to our monthly chapter meeting and community events. Chapter meetings are exclusively open to members of Alpha Kappa Alpha Sorority however community service events are open to the public. If you are new to the area or interested in seeing MLO in action, we welcome you to join us! In accordance with the National Standard Operating Guidelines and Mu Lambda Omega Chapter Protocol, visiting members are asked to present two forms of identification for meeting entry. Primary identification may include a government/State issued ID.